Tune in to the DCI Fan Network Saturday, July 25, for a live broadcast of the DCI Atlanta Southeastern Championship, presented by Lake Oconee and Greene County, Ga. This special Webcast event presented by Gary P. Gilroy Publications will be the very first time this season that all 22 World Class corps will compete head-to-head, and you won't want to miss this exciting showcase! The Webcast will begin just prior to the first corps stepping off at 4 p.m. ET, and the performance order will be determined by the results of the other events in the DCI Southern Series earlier in the week. With this Webcast you'll have the opportunity to choose from two viewing options—high camera, to see everything as the judges do, or multi-camera, to follow the action by alternating between close up on the field or high views. Performing corps include: The Academy Alliance Atlanta CorpsVets Blue Devils Blue Knights Blue Stars Bluecoats Boston Crusaders Carolina Crown Cascades The Cavaliers Colts Crossmen Glassmen Holy Name Cadets Jersey Surf Madison Scouts Mandarins Pacific Crest Phantom Regiment Santa Clara Vanguard Spirit Troopers Two ways to view this Webcast are available. A $19.95 pay-per-view option will give you one-time access to watch all of the performing corps in Atlanta. Choose the $59 Fan Network Plus subscription option to gain complete access to all 2009 Webcasts, on-demand replays of select DCI Tour events, discounts on downloadable media, and more! 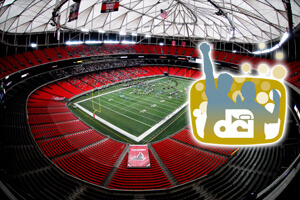 Visit TheFanNetwork.org to register for the DCI Atlanta Webcast.